After knocking out Diego Sanchez at UFC Fight Night 108, Al Iaquinta continued to trash the UFC. 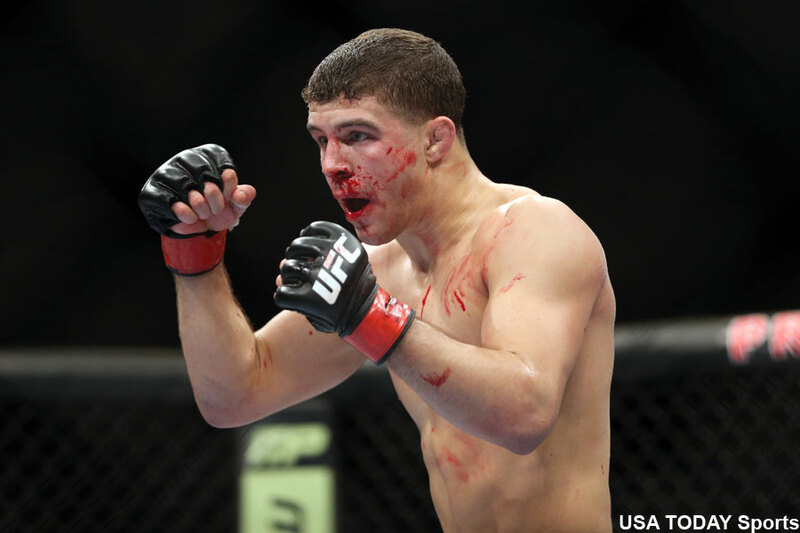 Iaquinta is a member of the growing number of UFC fighters to take issue with their salary. However, the New Yorker has by far been the most brazen about it. Take Saturday night for example. Just seconds after dusting Sanchez in merely 98 seconds, Iaquinta took the mic during his in-cage interview and threw out a quick self-promo for his real estate business. Despite entering his 10th fight with the promotion, Iaquinta revealed he’s still only getting paid $26,000 to show and can double that amount if he wins. Added up, he made just $52,000 for putting Sanchez to sleep. For what he puts his body through in order to get ready for a professional MMA fight, in addition to the countless risks he’s taking in the scrap itself, it just doesn’t add up for Iaquinta. Oh, and to make matters worse, Iaquinta didn’t score one of the four $50,000 Performance of The Night bonuses. Oh, and needless to say he wasn’t shy about letting the UFC know he wasn’t happy about it. Iaquinta trashed his hotel room after beating Joe Lauzon in 2014, then cursed on live television following a tough victory over Masvidal. The 29-year-old then skipped the UFC Fighter Summit in Las Vegas because it was five weeks out from a then-scheduled fight with Bobby Green. He claimed to be sick at the time, only to post pictures on the beach days later. Of course, this isn’t the first time Iaquinta has griped about his paycheck. In September he declined a bout with Thiago Alves after seeing the numbers on his bout contract. in New York, but he’s not willing to do it for peanuts against a top-tier beast. So for now, it looks like real estate Iaquinta will be more involved with the MLS than the UFC.